I took delivery of two books last week, both of which make liberal use of the term holistic. One (Samuda and Bygate, 2008) is about task-based learning, and its first chapter is titled ‘Language use, holistic activity and second language learning’. The other (Goh and Burns, 2012) is called Teaching Speaking and has the strap-line: A Holistic Approach. But now I’m wondering if the term hasn’t become a little overused, to the point of becoming meaningless. What, for example, do the following have in common: holistic approaches, holistic learners, and holistic testing – not to mention whole-language learning, and whole-person learning? According to Wikipedia, ‘The term holism was coined in 1926 by Jan Smuts, a South African statesman [and, somewhat ironically, an advocate of racial segregation], in his book, Holism and Evolution. Smuts defined holism as “The tendency in nature to form wholes that are greater than the sum of the parts through creative evolution”‘. Holism seems to have been co-opted into psychology (particularly Gestalt psychology), and thence into education, where a holistic approach can mean one of two things: either “an approach to language teaching which seeks to focus on language in its entirety rather than breaking it down into separate components” (Richards and Schmidt, 1985:240), or – very differently – an approach that engages the whole learner: intellectually, emotionally, and even physically. 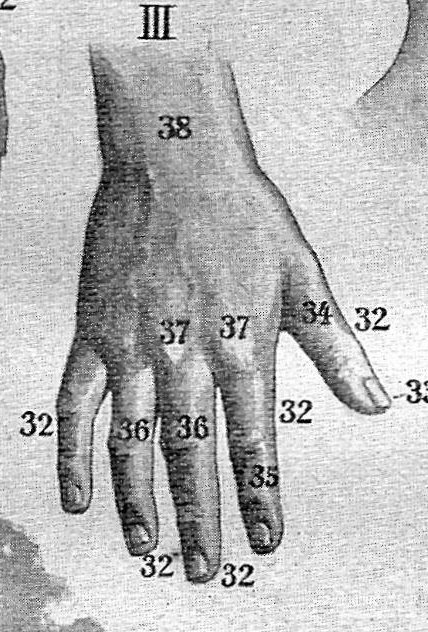 Thus, Legutke and Thomas (1991: 159), for instance, talk about “the holistic and multisensory nature of learning which involves head, heart and hands”. In this latter sense, holistic learning is virtually synonymous with whole-person learning, and often used to characterize such humanistic learning methods as the Silent Way, Total Physical Response (TPR) and Community Language Learning (CLL) . Thus, according to Richards and Rodgers (1986: 117) “CLL advocates a holistic approach to language learning, since ‘true’ human learning is both cognitive and affective. This is termed whole-person learning. Such learning takes place in a communicative situation where teachers and learners are involved in ‘an interaction… in which both experience a sense of their own wholeness’ (Curran 1972:90)”. Whole-language learning, on the other hand, is the preferred term (in the US at least) for those approaches that are holistic in the first of the senses I outlined above, i.e. that ‘learning proceeds from whole to part’ (Freeman and Freeman 1998: xvii), and that, by experiencing whole language – e.g. as whole texts or as communicative tasks – you internalize the parts. It’s a ‘deep-end’, experiential approach. Thus, you learn speaking by speaking, reading by reading, and so on. This is why Samuda and Bygate (2008: 7) align task-based learning with holism: ‘One way of engaging language use is through holistic activity. Tasks are one kind of holistic activity’. Goh and Burns (2012: 4), too, label their approach to speaking instruction as holistic, but only in the sense, it seems, that it “addresses language learners’ cognitive, affective (or emotional), and social needs, as they work towards acquiring good speaking competence”. In terms of a methodology, however, they reject a ‘learn-to-speak-by-speaking’ approach, arguing that “both part-practice activities and whole tasks are necessary to facilitate the automatization of various components of the complex skill of speaking” (op. cit. p. 148), adding that “speaking lessons should include opportunities to focus on grammar, vocabulary, and pronunciation at appropriate stages of the learning sequence” (ibid.). This is consistent with what Cazden calls ‘whole language plus’, where the primary focus is on task performance, but where there is recognition of the need for ‘temporary instructional detours’ in which the learner’s attention is directed to lower level features ‘at the point of need’. Moreover, such a two-pronged approach is more likely to accommodate the learning style preferences of both analytic and holistic learners, where the latter are defined as learners who “like socially interactive, communicative events in which they can emphasise the main idea and avoid analysis of grammatical minutiae” (Oxford, 2001:361). More recently, complexity theory and an ecological perspective have deepened our understanding of what ‘whole-ness’ entails. 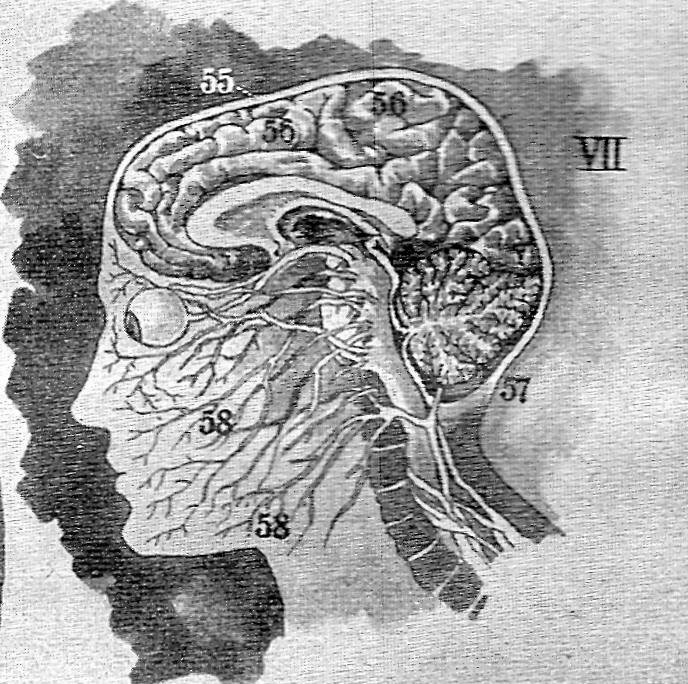 As Ellis and Larsen-Freeman (2009: 91) put it: ‘Cognition, consciousness, experience, embodiment, brain, self, human interaction, society, culture, and history – in other words, phenomena at different levels of scale and time – are all inextricably intertwined in rich, complex, and dynamic ways in language, its use and its learning’. Maybe this more elaborated and multi-layered view will serve to conflate the two senses of holistic as applied to approach. Could a focus both on whole-language and on the whole-learner help blur the distinction between learning and using, and between learner and language, forming one complex system, such that (to borrow Yeats’s image) we cannot ‘tell the dancer from the dance’? An ecological approach sees the learner as a whole person, not a grammar production unit. It involves having meaningful things to do and say, being taken seriously, being given responsibility, and being encouraged to tackle challenging projects, to think critically, and to take control of one’s own learning. The teacher provides assistance, but only just enough and just in time (in the form of pedagogical scaffolding), taking the learners’ developing skills and interests as the true driving force of the curriculum. Cazden, C. (1992) Whole Language Plus: Essays on Literacy in the US and NZ, New York: Teachers College Press. Ellis, N., and Larsen-Freeman, D. (2009) ‘Constructing a second language: analyses and computational simulations of the emergence of linguistic constructions from usage’, in Ellis, N., and Larsen-Freeman, D. (eds.) Language as a Complex Adaptive system, Special issue of Language Learning, 59. Freeman, Y.S. and Freeman, D.E. (1998) ESL/EFL Teaching: Principles for Success, Portsmouth, NH: Heinemann. Goh, C, and Burns, A. (2012) Teaching Speaking. A Holistic Approach, Cambridge: Cambridge University Press. Legutke, M., and Thomas, H. (1991) Process and Experience in the Language Classroom, Harlow: Longman. Oxford, R. (2001) ‘Language learning styles and strategies’, in Celce-Murcia, M. (ed.) Teaching English as a Second or Foreign Language (3rd edition), Boston, MA: Heinle Cengage Learning. Richards, J.C. and Rodgers, T.S. (1986) Approaches and Methods in Language Teaching, Cambridge: Cambridge University Press. Richards, J., and Schmidt, R. (eds.) (2002) Dictionary of Language Teaching and Applied Linguistics (3rd edn. ), Harlow: Longman. Samuda. 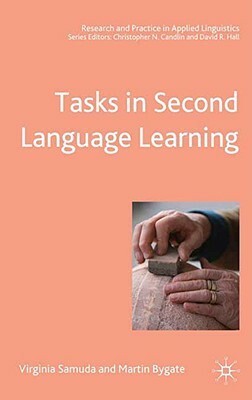 V. and Bygate, M. (2008) Tasks in Second Language Learning, Basingstoke: Palgrave Macmillan. van Lier, L. (2004) The Ecology and Semiotics of Language Learning: A Sociocultural perspective, Norwell MA: Kluwer. Yes, it does sound familiar! I’m reading Larsen-Freeman now (Teaching Language – From Grammar to Grammaring) and paused for some time on the section where she uses ‘holistic’ to describe grammar — or, more precisely, grammaring. She says (referring to van Geert, 1994), “if grammar is a dynamical system — a view I entertain in this book — the parts of a system mutually interact. Mutual interaction implies that they influence and co-determine each other’s changes over time.” Considering fractals as well (she mentions them, and you describe them in another post), we could view the learning process from one step further back. Instead of looking at the whole learner and a separate (presumably whole!) teacher, how about the whole learning process of learner-teacher-context? I like the idea of teacher and learner mutually influencing changes in each other! treating the subsystems of language as autonomous runs contrary to an assumption we make from a complexity theory perspective, which is that it is impossible to understand the whole of a complex system by attempting to understand its parts independently… The behaviour of the whole of a complex system arises out of the interaction of the elements or agents that comprise it. When this notion is applied to language, it is clear that it will not work to treat the subsystems of language as autonomous, unravel the mysteries of each subsystem in turn, and then compile all we have learned about each in order to understand the whole of language Because language is complex, what is evident at any one time is the interaction of multiple complex dynamic systems, working on multiple timescales and levels” (pp.94 — 95). Holism, in a word. Or as T.S. Eliot put it, more lyrically, ‘the complete consort dancing together’. Hi Scott, I’d like to finish my post – and I apologize for the length – which started with the lines from Yeats’ foreboding poem – your ‘dance and dancer’ ignited that spark. The poem seems apropos with its image of inner and outer circles (gyre), a view one might take of our profession: inner circles of “big names”, the oft-cited scholars, and outer circles of practicing teachers. Of course we could also argue that we teachers are the core of ELT (the 99%?) with prominent scholars looking in at us to examine what is actually happening in our classrooms. Whichever way you look at it, hold that thought. By the way, I do not see these circles as inherently adversarial. Another aspect of the poem is its mention of chaos (complexity theory? ), a popular concept in science for some time now, which, like many theories from other fields of study, has been taken up by ELT scholars (eg, Diane Larsen-Freeman, cf. http://tinyurl.com/7dqpg5q). What’s important to note, in my view, is how papers like Larsen-Freeman’s, and others, become popularized among us teachers, who, I would guess, seldom find time and energy to read blogs like this one – always well worth it! – much less an academic paper. “different styles of research articles and popularizations construct different views of science. Scientists see their work as much more tentative and mediated than does the public.” (Myers, pp.188-89). “….to hold the whole and to find a unit of analysis that allows this” (p.159). When I posed this problem to a tutor (professor) of mine on an MSc TESOL course, he said there was no real solution; however, he reminded me that he could send a polaroid capturing one of the three mountain ranges surrounding Tokyo to me and a colleague, who could in turn share a picture of the Bavarian Alps with us; meanwhile, both of them might look at my own image of the Cascade Mountains of Oregon. As long as we can share this way, we can focus on mountain ranges (as units) to contrast and compare these particular geographic features, or others parts of the whole planet. Larsen-Freeman makes reference to two books (Hall, 1993 and Ruelle, 1993) that examine how complexity theory can help us understand, among other phenomena, ‘economic fluctuations’ (p.157). I haven’t read either of these books, but with Economics as the Holy of Holies nowadays, I think we’d be wise to take a look around at the current global recession; I know we each see a snapshot of it somewhere. Does chaos theory apply? Put simply, the hens were guarding the hen house, the bank presidents robbed their own banks as our elected officials and “regulators” stood by and cheered them on. None of this has really stopped by the way. Lest I digress, I think we should ask ourselves which circles we roam in, and who has access to those circles. We should also examine how power is shared, or maintained, within those circles and without. That, I believe, is the big picture we need to keep in mind when we read anything (including of course this blog and my comments) anyone has written about language learning, SLA, or pedagogy. But do we? And if not, what’s the attendant power shift? Do teachers form tight circles and practice as they see fit regardless of what ‘the experts’ deem relevant? Are we unduly influenced by those who have access to the ‘means of production’ in our field? Thanks for another great post! I look forward to reading others’ comments. Larsen-Freeman, Diane. 1997. Chaos/complexity science and second language acquisition. Applied Linguistics 18.141–65. Myer, Greg. 1994. Narratives of science and nature in popularizing molecular genetics in Advances in Written Text Analysis. Ed. M. Coulthard. London: Routledge. Not sure if this is relevant to anything, but I love the image of Shiva trampling on all the received wisdoms! Is Exploratory Practice (Allwright et al.) a way to find the kind of teacher and learner development that Clarke (1994) calls for? Yes, definitely, Rob. Allwright (2006) writes “I think it is now becoming increasingly clear… that a more radical approach to finding a professionally viable research approach is needed, as the emphasis is increasingly placed on the supreme importance of understanding, as being logically prior to, and potentially a substitute for, problem-solving. My own proposal for a professionally viable alternative research paradigm is ‘Exploratory Practice’. But accepting Exploratory Practice would also mean re-thinking the idea of teachers as knowledge-makers. First, Exploratory Practice would see practitioners as people trying to reach locally helpful understandings, not new knowledge. And, secondly, Exploratory Practice would specifically include learners as seekers after understanding. Exploratory Practice is thus conceived as a way of getting teaching and learning done, not as a way of getting research done. But it is a way of getting teaching and learning done so that the teachers and learners simultaneously develop their own understanding of what they are doing as learners and teachers”. 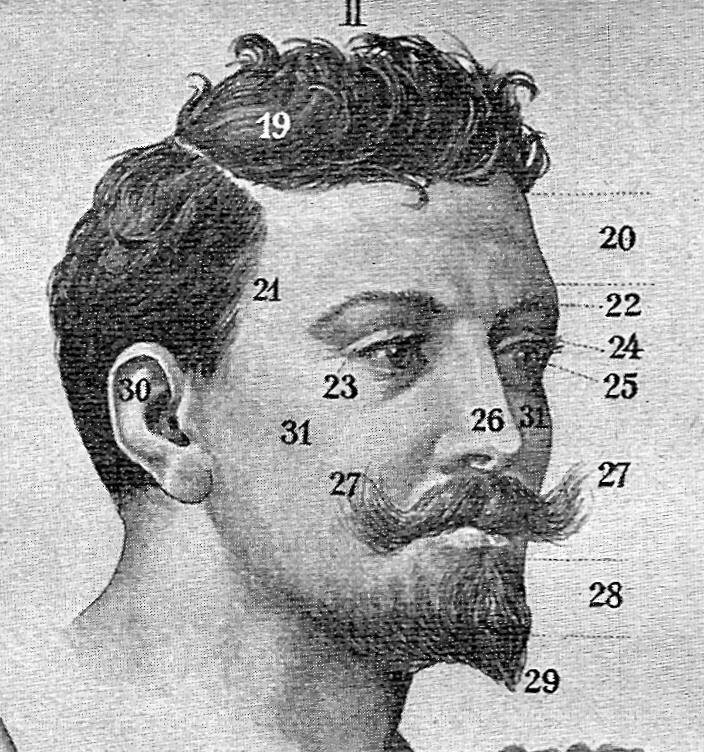 (p.15). Hands and hearts and heads? I spent this morning in a small single class primary school in isolated rural alpine France. Exceptionally I only had 7 puplis aged 5 to 10,(normally we are thirteen all told), we played sevens and memory at a round table. The “English only” rule applied. It occurred to me as I was prying a small cardboard picture of a chicken from a grubby little hand, looking into the cross face of a six year old who couldn’t remember ‘chicken”, but felt passionately that he should be allowed to keep his “pair”, his heart was certainly engaged, his hands as well, and his brain was working furiously to retrieve his lost vocabulary word. Yes, it’s holistic but then life by definition is, isn’t it? I concur with Kathy, tea and your blog make for a truly happy moment. Thankyou very much indeed. PS I have never replied to a blog before and certainly not to one as high falutin’ as this one, so forgive the prosaic nature of my thoughts. Thanks, Jane … and you capture the essence of holism – the single class (all kids in together, no artifical splitting into levels etc), the total engagement of a collaborative game, the physicality as well as the cognitive and affective involvement (none of this silly business of the kinaesthetic learners in this corner, the verbal ones in that corner etc). Heart, head, and hands … ‘the complete consort dancing together’! Scott, hi! I remember your February talk, The Learning Body, and “the complete consort dancing together” is a great continuation of this. Somewhat in a different direction, – but not necessarily out of the classroom – I’ve come across a couple of things you may or may not like: this piece of music http://www.peternagle.co.uk/2008/03/complete-consort-dancing-together-2005.html?m=1 commissioned by a band I used to play with in London in the ’80s (audio snippet included); clearly a helluva dance, and I’m not sure what to make of it, except that there are some great trumpets at the golden sectino moment!. The other is Lost Generation by Jonathan Reed, – audio and text here: http://www.leadership-with-you.com/inspirational-video.html Inspired by T.S. Eliot ? Hello Scott, thank you for another nutritious and nourishing dish for thought. Yes, definitely, I’m for educating the whole person by means of the whole language, not some frozen ready-made pre-cooked bits of language with no natural vitamins left, this kind of diet is poisonous in the long run. In one of the IELTS texts i came across the findings of some research in animals. These findings showed that cows show a physiological response on learning something new. Young cows were put in a situation where they had to press a panel to open a gate and gain access to food. Those that learned the task were more likely to experience a sudden increase in heart rate and to run around than those that didn’t. This eureka response, or aha-reaction, or insight, or breakthrough result in experiencing positive emotions, feeling hilarious, overjoyed, being in heaven, making you want to dance with joy. I wonder if such physiological response on learning something new has ever been detected in humans. Maybe the wish to dance or just run around could be taken as an additional measurement of success in learning. What do you think? Thanks for that comment, Svetlana. I love the image of cows dancing for joy at having learned something new! 🙂 I don’t know of any research of the same kind into human responses to aha moments, but it wouldn’t surprise me if there was some kind of detectable release of endorphins or whatever those things are called, on, for example, geting the subjunctive right in Spanish for the first time! Anyone?